So you're a patron of the Tether, What happens next? You could be a visitor, a traveller, a nomad or even a resident. 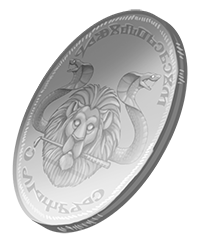 Anyone toting a pouch of coins received with a warm welcome upon arriving on the island. Patrons are greeted by house servants upon entering the grand Main Hall for trade and, for a small fee, are waited upon every hour of the day or night. Outside of the main hall patrons can enjoy the Tether's groomed gardens, the beach, the bar and any of the many lounges found tucked away throughout the establishment's interiors. Stage shows and gruesome arena fights are put on frequently for the entertainment of the patrons. Here you will find resources and information pertaining to the free-walking, slave-buying population of the island. Be sure you read the Code of Conduct for Patrons of the Golden Tether. The Tether is the ONLY formal law in Guildereim. Everything else is survival of the fittest. Most laws can be found here. However, it is well known slaves have no rights, and that causing problems for the Tether staff is the quickest way off the island. A horse - 1 rental per day, 150 to own. The only way on to the Islands of Guilderiem is by boat. There are ships which fly The Golden Tether's colours and emblem that are specifically for transporting patrons and visitors. These are luxury ships designed to make the patrons travel to The Golden Tether as comfortable as possible. Economy class, for those on the poor side are available. Some who are unable to pay the ticket prices may be hired temporarily on the ship. Stow-aways are rare, but when found are punished or quite possibly, thrown over board. The ships dock at in very large cave, as The Golden Tether is built into a mountain side. For those that have privately owned ships, there are docking fees depending upon the length of stay. Rooms are available to rent in The Golden Tether, prices vary depending upon the quality of the room, and the time they are rented for. Private land is available for purchase, though it is up to the buyer to build their own homes. Some homes are available to rent on the main islands. Smaller, more private islands rarely have land for sale due to the dangers of the natives. Poor: only one level house, smaller than most, may need some work done to be useable. May also be an average-sized house that is not in a desirable location (I.E: prone to flooding, native attacks, etc.) Includes shacks, cabins, small houses, etc. Average: either one large level or two normal sized levels. There is room for a small yard. Includes manor houses, villa houses, beach houses, etc. Mansion: huge house with opulent furnishings. Includes a spacious yard and large amounts of land. Can be one giant house or a cluster of average buildings connected by a courtyard. Castle: defensive building. Large, spacious, and impressive. Upscale house to rent: 500 to 1,700 a month; 50 to 170 ; or 1 Gold Bar to 3 Gold Bars & 2 Silver Bars. Poor house to buy: 2,500 to 5,000 ; 250 to 500 or 5 Gold Bars to 10 Gold Bars; 1 Platinum Bar to 2 Platinum Bars. Average house to buy: 5,000 to 20,000 ; 500 to 2,000 or 10 Gold Bars to 40 Gold Bars; 2 Platinum Bars to 8 Platinum Bars. Upscale house to buy: 25,000 to 75,000 ; 2,500 to 7,500 or 50 Gold Bars to 150 Gold Bars; 10 Platinum Bars to 30 Platinum Bars. Mansion: 100,000 to 300,000 ; 10,000 to 30,000 or 200 Gold Bars to 600 Gold Bars; 40 Platinum Bars to 120 Platinum Bars. 500 (50 or 1 Gold Bar) per acre for land that has not been cleared of brush, nagas, forest , etc. OR land that is in swampland, stone, etc. 1,000 (100 or 2 Gold Bars) per acre for land that has been cleared and is ready for development. Any foreign coin is weighed and tested for purity. *Due to the low worth of copper, it typically doesn't come in bars or ingots. Golden Hearts Anniversary Ball - This event commemorates TGT's anniversary and is held on February 14 of each year. As of February 14, 2010, TGT was five years old. The celebrations for this are usually dancing, food, kissing booths, and other soft and cuddly festivities. Hua-Hashi - One day every April, Lizardfolk in conjunction with TGT staff and adventure-minded patrons go out into the Naga nesting grounds and destroy eggs so that the naga don't become too numerous and consume all of the Kaoi'e in the process. The week after this event, it is customary for naga eggs to be used in many food dishes. Fairy Migration - From the middle of July to the end of August, random happenings occur around the Tether. Magical flares potentially disturb some people's ability to control their magics, food has been known to rain from the ceiling, and statues have been known to come to life. This sudden surge in magical energy draws pixie-like creatures to the island who swoop in and steal shiny things from patrons to put in their nests. Eating or killing the pixies has is a bad idea as they have proven to be quite toxic upon their death. After the mating and delivering of offspring into their nests, the pixies die off near the end of August. The first migration occurred in July 2010 and it's unknown why the flares began, but The Golden Tether has taken steps to ready itself for the next magical upset on the island. The Golden Tether has a fully equipped bar and kitchen to meet your needs. Meals and drinks can be ordered at the bar or it can be delivered to your room. The bar is opened at every hour and offers a rather eclectic menu, from food to drinks. Please note, seafood is in an abundance due to the establishment being on the island. Red meat, specifically beef, is considered a delicacy. It is more expensive due to the island not being fit for livestock and must be shipped in at great expense. OOC: Sometimes there is no one tending to the bar so a NPC (Non Player Character) by the name of Evelyn will be tending the bar.